Orthopedic best snow boot - light and well made with profiled soles. Warm for snow and wet weather. Boots are totally lined with gortex membrane and wool. Arches present inside and added to the boot. 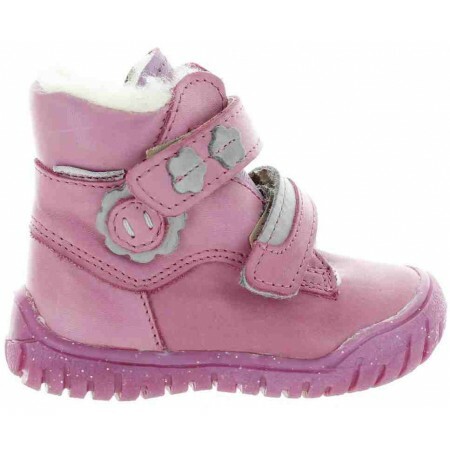 Ultra soft boots for a baby with proper heel support. 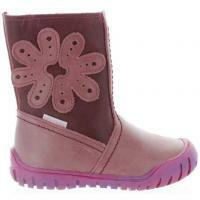 Winter boots for a child have to be supportive and orthopedic. If they have no heel support they will destroy your child' posture. 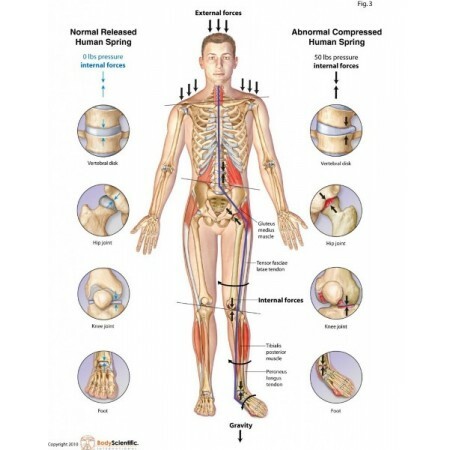 Ankles are collapsing in soft boots or if they are too heavy they destroy the body gait. Two of my girls got those boots last year and they have been warm, waterproof and all. Cute and weightless for a child. The wool is just right and they slip easy on their feet. I think boots cannot be clunky and chunky for any child and they have to walk well in them....my children walk super in any of those boots and I have been always pleased. They truly test super in cold and snowy Chicago winters. I bought these shoes last year. They look and fit very nice, however, the wool is nothing like shown in the picture, it is very thin!!!!! Overall good boots, but the picture on the website is deceiving!! 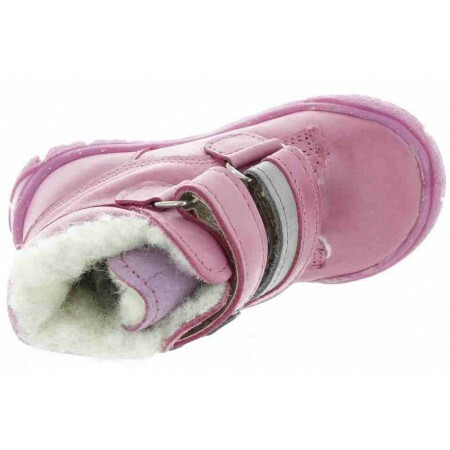 This snow boot is just cute as a button! The best, best snow boots I ever got for my child. Usually buy Naturino but my God - they are like night and day. Weightless, natural wool, waterproof and tested beautifully in NY snow storm we had here recently. My daughter wears them since November but they did got wet and went through true test during the storm. She played outside for 2 hours and those boots did not even soak once. 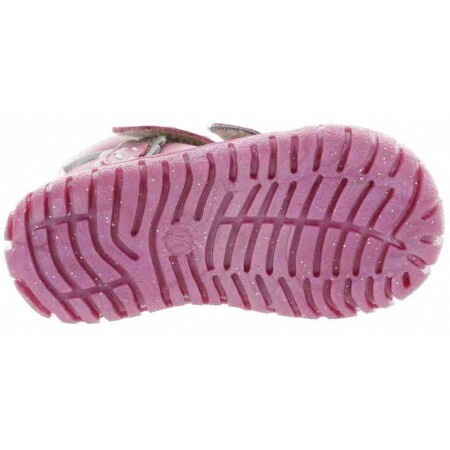 I am buying them again next winter, even deliberating to buy 2 sizes up for next year before they sell out. Superior quality and adorable! Wool on the is best that I ever seen on any kids boots. Light, flexible with good traction. 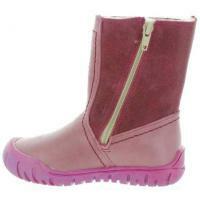 Wonderful snow boot, it was my first order and it will not be the last. Truly European made shoes! 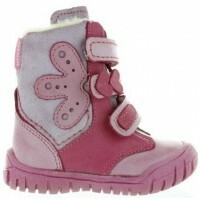 Wide width orthopedic baby snow bootsSnow boots for toddler with good arch Pink/fuchsia lamb leather decorated with pink flower. The boots are protected with thick wool. Arches present in the sole of the style. 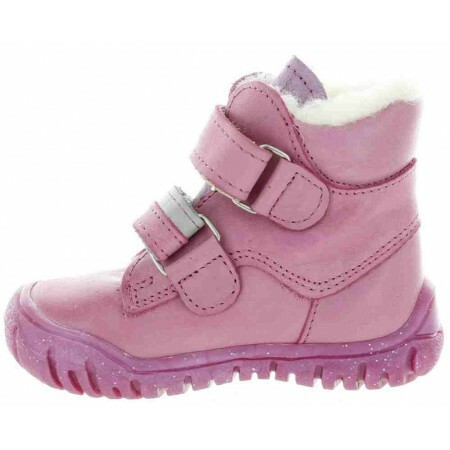 Pink rubber sole..
Boots for flat footed baby girl.Flexible soled baby boots Made out of the best quality smooth purple/pink lamb leather. Close with a double velcro. The boots are totally lined with thick sheep wool. The sheep wool that will not perspire and keep t..